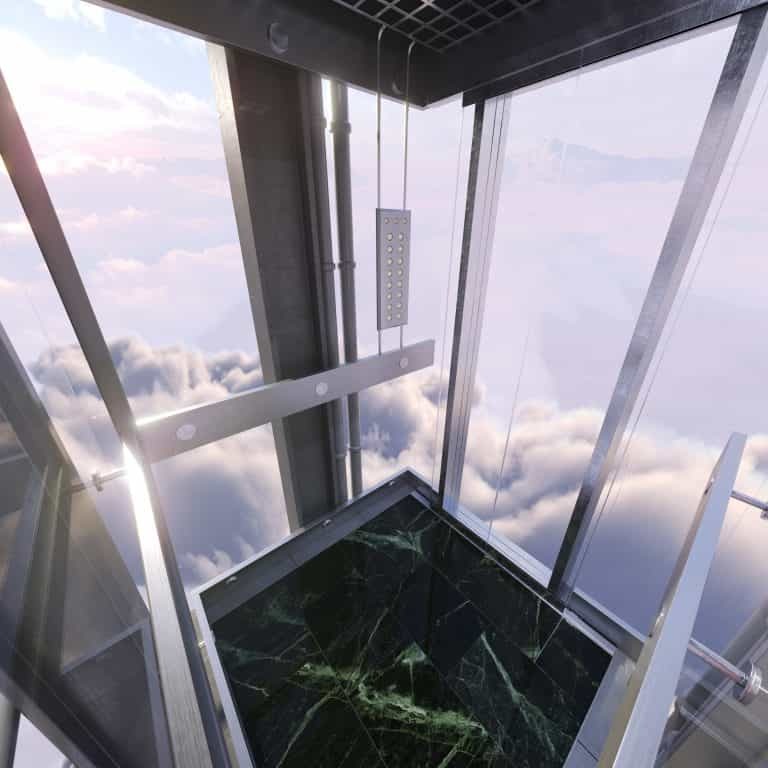 Lifts are becoming less of a commodity and more of a necessity in the modern-age, providing a way to navigate the world’s tallest buildings on one end of the spectrum, and access to those who would otherwise be unable to enter a building or the levels within it at the other. However, this doesn’t mean that they have to be solely functional. In fact, there are many passenger lifts across the world that break the mould of the traditional design and offers a way to interest, intrigue and inspire us. The AquaDom is named for the building in which it resides, the DomAquarée. It is a cylindrical aquarium with a built-in elevator that takes passengers through the incredible space that holds more than 1,500 fish, made up of 50 different species. The cabin itself is surrounded by transparent walls so passengers can get a fantastic view of the aquarium as the lift slowly makes its way through the acrylic glass tank. This lift is located in the Radisson Blu hotel in Berlin-Mitte and is part of the Sea Life Centre attraction there. The Falkirk Wheel is an innovative solution to the problem of connecting canals that sit at different levels in Scotland. While in the past, vessels would have to make their way through a series of locks that would take up to a day to travel between the two canals, there is now an incredible alternative. This is effectively a lift for boats, transporting the vessels from one canal to the other. The technology behind it is incredibly clever; it uses the weight of 500 tonnes of water to help the momentum, allowing it to move boats from one level to another. Las Vegas is well-known for pushing the boundaries, including in architecture and design, so it should be no surprise that it is home to a fantastic lift design. The Luxor is a huge hotel that is built to look like a pyramid, which is magnificent to look at, but means that there are specific challenges associated with its design. One such challenge is how lifts can work on a diagonal incline due to the shape of the building. The lifts within the hotel are known as incline elevators and they run on a gradient, which not only makes them functional, but also means that passengers get a fantastic view of the hotel atrium. We have had the honour of working on numerous fantastic projects here at Axess2; from glass lifts installed in listed buildings, to football-themed cabins in private homes, we have been involved in countless designs that we are proud of. Whatever design you are looking for, we would be more than happy to help you to get the right solution for your project. You can contact us to discuss your requirements in greater detail. Simply give us a call on 01200 405 005, drop us an email at info@axess2.co.uk or fill out our online contact form and we will be in touch.